Have you ordered your 2014 Chevrolet Corvette Stingray yet?? Contact Purifoy Chevrolet today! This beautiful black 2008 Corvette Z06 is now available at Purifoy Chevrolet. See all of the details on our website or stop by our Indoor Corvette Showroom to learn more about this gorgeous vehicle. It is hard to believe that Chevrolet has been building the legendary Corvette for 60 years! What better way for them to celebrate this monumental milestone than a special edition package on their fastest, most powerful model ever? 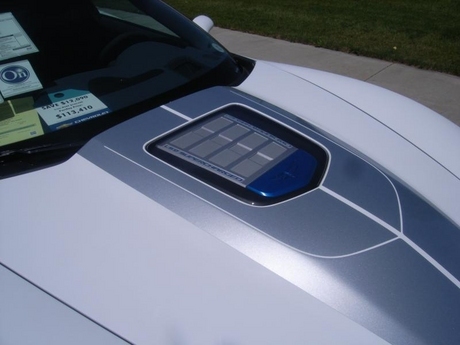 This 2013 ZR1 has the top of the line 3ZR equipment group that features power everything, heated seats, head up display, navigation and every other interior feature available. The 60th Anniversary package also features an exclusive diamond blue interior with 60th badges everywhere; on the headrests, door jams, steering wheel, front and back badges, and in the center of the painted 20 spoke wheels. The steering wheel and shifter are suede for a unique driving experience. Each of the Anniversary models is painted Arctic White with full length Pearl Silver Blue stripes and Cyber Grey headlight surrounds. 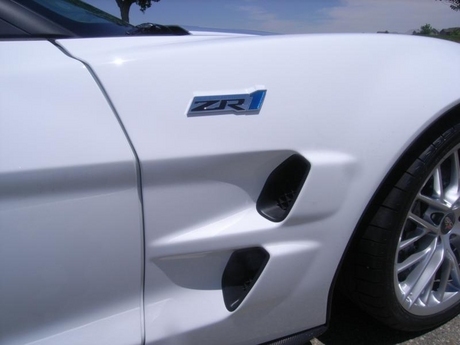 Like all ZR1s, this car is equipped with the supercharged 6.2L, 638 horsepower, 604 lbft, LS9 V8, Magnetic Ride Control, GM's Performance Track Management system, Carbon Ceramic Brakes, carbon fiber body pieces, and a light weight aluminum frame. Stop by Purifoy Chevrolet's Corvette Showroom to see this beauty in person! You won't be disappointed! 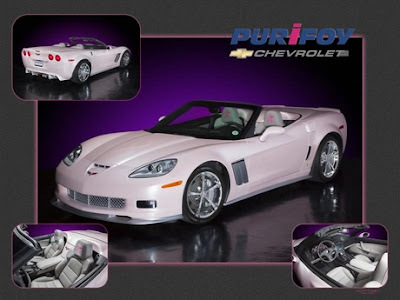 This is one of the few custom cars that is built by Purifoy Chevrolet each year! It started life as an Arctic White 3LT Grand Sport Convertible. Our body shop worked their magic and transformed it with a tri-stage custom Pink Pearl Metallic paint. They also added a Quantum rear diffuser and Katech front splitter and side skirts. In the interior they had Auto Weave replace all the grey stitching with pink and added pink piping on the door panels. You might ask why pink? Well, this car was built to pay tribute to breast cancer awareness. If you look closely, you will see a ribbon ghosted on the hood! They are also stitched in the seats. So if you want a one of a kind Corvette, this is the one for you! The profits on the car will be donated to help fight breast cancer. 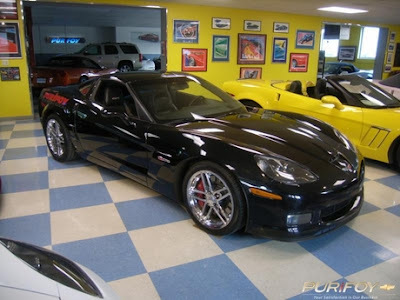 Stop by Purifoy Chevrolet to see this beautiful custom Corvette today! Welcome to your dream Corvette! 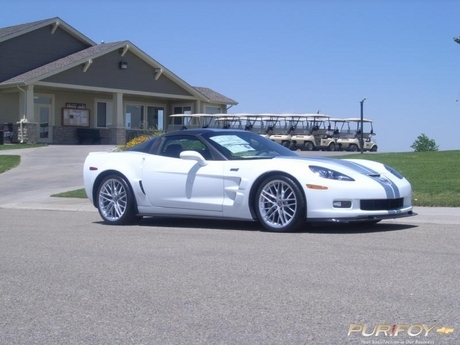 This 2011 Chevrolet Corvette Grand Sport Convertible will make you smile from ear to ear! 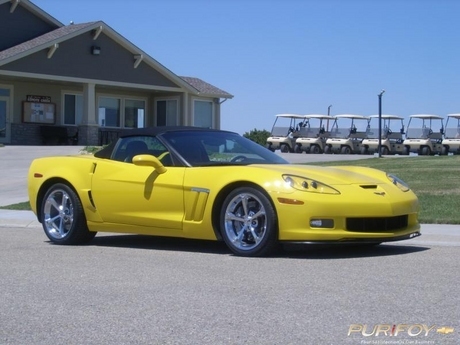 Striking Velocity Yellow Tintcoat exterior, Black Convertible Top with the optional Grand Sport Chrome wheels. Equipped with the 3LT interior trim option which includes the Premium Ebony Leather, Heads Up Display and the Factory Navigation. 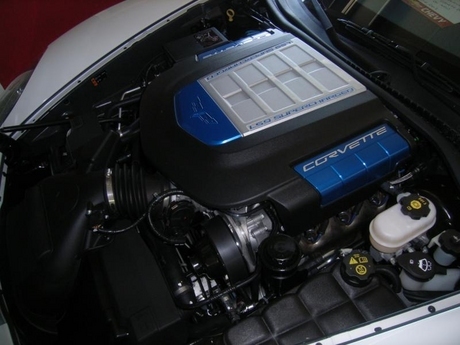 The performance of the Grand Sport with the LS3 6.2 liter motor produces a wheel spinning 436 HP with the optional Dual Mode Exhaust! The Grand Sport is the combination of the sporty good looks of the Corvette Z06 in a more economical package. This is the ultimate weekend fun car to get you out on the open road and the wind in your hair! Stop by Purifoy Chevrolet to see this gorgeous vehicle in person. 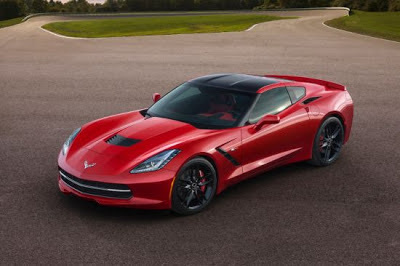 The Corvette experts at Purifoy Chevrolet would like to help you order your 2014 Corvette Stingray. Contact us for details! Chevrolet has revealed the 2014 Chevrolet Corvette Stingray Coupe Premiere Edition. This gorgeous car is available in Laguna Blue and features special logos on the center wheel caps and sill plates, "stinger" hood stripe, and Corvette-branded luggage. The Premiere Edition will be available in a limited-run of 500. 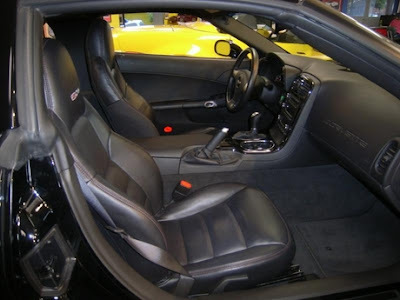 Contact Purifoy Chevrolet for information on any of the 2014 Corvette models!